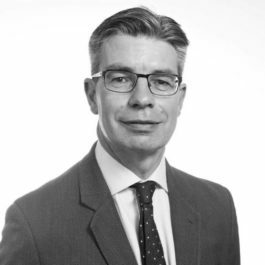 Simon Kealey was appointed Queens Counsel in 2017. He is an extremely popular advocate who enjoys a busy practice concentrating solely on criminal law for both defence and prosecution. Simon has been involved in a large number of the leading cases both on the North Eastern Circuit and beyond. The principle offence groups undertaken are murder and manslaughter, serious fraud, high value drug offences, people trafficking, sexual offences and driving offences resulting in fatalities. The work undertaken by Simon often includes cases of significant factual and legal complexity and involve legal teams which Simon will lead. In addition to the work undertaken in the Crown Court Simon also has an impressive appeal practice and has been involved in many complex appeal court matters throughout his career. Simon will accept instructions in significant cases from legally aided clients and will cover the full spectrum of criminal offences and appeal work for private clients. All enquiries in relation to Simon’s work and availability to accept instructions should be made to the Director of Clerking, David Wright. "He specialises in fraud, drugs and conspiracy cases."